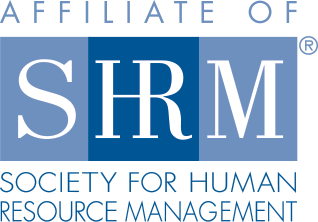 On Thursday, March 22nd, Philadelphia SHRM hosted the annual HR Premier event: the Philly SHRM Symposium. HR professionals gathered from many industries and many backgrounds to listen, learn, and engage in open discussions throughout the day. We all shared one common goal, to lead fearlessly. Given the context of today’s business environment, it is critical for HR professionals to be leaders. In fact, M.S. Human Resource students are taught that the first step in leadership is to inspire a shared vision. This was also my experience as a student at the Fox School of Business at Temple University. The keynote speaker, Carey Lohrenz, did just that at the Philly SHRM Symposium. One key theme Carey shared at the keynote session was that if you challenge yourself and fail, what matters most is what you do next. It’s about remaining active and moving forward, not becoming lethargic from failure. She shared that you should take risk and not be afraid of failure. It is what you do next, after failure, that determines success. According to Carey, you should “banish your limiting beliefs.” As a part of trusting the process in challenging yourself to a goal, Carey leads us to understand that we should have fun in the process. This philosophy should resonate with HR Professionals, because as we set business, professional and personal goals, enjoyment should be part of the process. Enjoyment and even having a sense of humor is critical to the ultimate success of goal achievement. If we fail we should not get down on ourselves, but rather the opposite. We should get back up on our horse with a smile and not feel sorry for ourselves or look back. While learning from our mistakes is important, dwelling on the past too much could be detrimental. We may even make some lifetime friends throughout the journey, as members of a shared vision usually have the same ideals and visions of success. Throughout the process of completing our goals, we will create memories and friends for a lifetime. We all did this at the Philly SHRM Symposium this year. We learned from each other and created new relationships that we will have for a lifetime. What can be better than that? Feel free to leave a comment or send questions to thoughtleader@phillyshrm.org on how you can become a Philly SHRM Thought Leader… and become a “Fearless Leader”. About the Author: Kyle O’Hearn has over 8 years of HR experience, including a BBA in HRM from Temple University, and is pursuing his Masters of Science in HRM at Temple University. He currently is an active volunteer, huge sports fan, family guy, and has a passion for practicing mindfulness.